On September 11, 2000, newspapers around the world carried the story about how Satan had invaded the Vatican in Rome and screamed insults at Pope John Paul II (1920– ) through the agency of a teenage girl, reported to have been a "splendid girl in terms of purity and goodness" before being possessed by the devil at the age of 12. The 19-year-old began shouting in a "cavernous voice" during a general papal audience in St. Peter's Square. Despite the efforts of the pope to quiet the attack, the Prince of Darkness laughed at the Holy Father's efforts to drive him away. When Vatican guards attempted to constrain the girl, she violently pushed them back in a display of superhuman strength. Vatican exorcist Father Gabriele Amorth said that he and another exorcist, Father Giancarlo Gramolazzo, had previously worked with the girl and that the pope had spent half an hour with her the day before the incident and had also exorcised the teenager. However, it soon became apparent when the girl began insulting the pope and speaking in unknown tongues during the papal audience that neither of the exorcisms had managed to banish Satan. Vatican sources were quick to remind the media of Pope John Paul II's successful exorcism of an Italian woman named Francesca Fabrizzi in 1982. Later in September 2000, Reverend James Le Bar, an exorcist for the Archdiocese of New York, commented that there had been a "large explosion" of exorcisms in recent years. In New York alone, he said, the number had accelerated from none in 1990 to a total of 300 in the last 10 years. Reverend Le Bar said that as men and women have diminished self-respect for themselves and decreased reverence for spirituality, for other human beings, and for life in general, one of Satan's demons can move in and "attack them by possessing them and rendering them helpless." On November 26, 2000, an Associated Press story datelined Mexico City, Mexico, stated that a steady procession of men and women believing themselves to be possessed pass through the doors of the city's Roman Catholic parishes seeking exorcism from the eight priests appointed by the archbishop to battle Satan and his demons. Reverend Alberto Juarez told of seeing a young woman who began to speak in a man's voice and then growl like a dog. Father Enrique Maldonado spoke of houses where he witnessed locked doors open and objects move about the rooms. Reverend Daniel Gagnon stated that he had once considered himself scientific, pragmatic, but he had changed his mind. "Psychology is where you begin, but there is an area that science cannot explain," he said. The casting out of demons and the healing of the sick and the lame were two of the great facets of the apostolic commission that Jesus (c. 6 B.C.E.–c. 30 C.E.) gave to his followers, but the practice of performing an exorcism on candidates for baptism was first recorded by the church father Hippolytus (c. 170–c. 235) in third-century Rome. The priest or layman instructing those who would join the church was instructed to lay his hands upon the heads of the catechumens and pray. It was then supposed that it would be impossible for a demonic entity to remain quiet and unnoticed at this time, thereby betraying its presence and presenting the unfortunate human host for the process of exorcism. 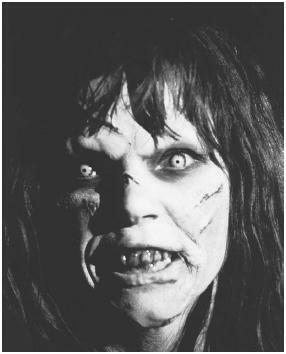 According to the September 1, 2000, issue of the National Catholic Reporter, the first mention of "exorcist" as an office in the Roman Catholic Church exists in a letter of Pope Cornelius in 253. Historian Jeffrey Burton Russell states that in the early medieval liturgies, there were three kinds of common exorcisms—the exorcism or blessing of houses or objects, of those about to receive baptism, and of people believed to be possessed by demons. In various parts of Europe, the priest conducting the exorcism might also use the rites to banish such pre-Christian deities as Thor and Odin. one who works miracles in my name will soon turn and say something bad about me. Anyone who isn't against us is for us.'" Neither Jesus nor those who cast out demons in his name is called an "exorcist" in the New Testament, and the word "exorcise" is never used anywhere in the Bible in the context of banishing demons. By contrast to shamanic exorcisms of evil spirits in tribal cultures, which can last for hours or days; the rituals of demonic banishment in ancient Egypt or pagan Europe, which were dramatic ordeals of lengthy duration; or the rites of exorcism of the Roman Catholic Church, which can go on for many days, months, even years, Jesus' exorcisms consisted of his/her simple and direct command to the demon to leave its unwilling host body. When Jesus triumphs easily and immediately over the evil beings that have infested a human body and soul in the many encounters described in the gospels, the possessing entities are always demons, never Satan himself. Although these are victories that diminish Satan's earthly powers, it may be that the great showdown between Jesus, the Son of God, and Satan, the Lord of the Earth, is building for the great final battle between good and evil at Armageddon at the time of the Apocalypse. Although accounts of exorcism are not to be found in the Old Testament, later Jewish tradition employs a ritual that involves the sounding of the shofar, the reciting of prayers, and the anointing of the afflicted person with oil and water over which passages from Psalms have been read. As in Christian exorcism, it is important that the true identity of the demon be learned so that it can be addressed by name and ordered out of the body of its victim. In the Kabbalist tradition, the exorcist also demands to know the nature of the sin that led the demon to attach itself to a human body so that after expulsion the soul can be rectified and placed at rest. John L. Allen, Jr., a staff writer for the National Catholic Reporter, acknowledged (September 1, 2000) that in a few well-publicized cases "failure to make a careful assessment of possible brain dysfunction before performing exorcism has resulted in disaster." Allen then mentions a 1976 case in which two Bavarian priests were convicted of negligent homicide when medical treatment for a 23-year-old epileptic was discontinued in favor of exorcism and the young woman died. He also refers to a 1996 case in which a Korean Protestant exorcist in California was convicted of involuntary manslaughter and sentenced to four years in prison for inadvertently trampling a woman to death during a four-hour exorcism. Vatican exorcist Gabriele Amorth said that he always asks for a person's medical history and consults a psychiatrist if he feels such information will be useful before beginning an exorcism. He argues, however, that only performing an exorcism can provide certainty, because it is in the response to the rites that one can detect the presence of a demon. While many priests appear to have the attitude that a little exorcism could never hurt anyone, Father Joseph Mahoney, a Catholic chaplain in Detroit who works with individuals suffering from multiple personality disorder, sees it quite differently. He believes that an exorcism can be "extremely destructive" when applied to patients with undiagnosed multiple personality disorders, and he refers to research carried out by the Royal Ottawa Hospital in Canada, which concluded that the process of exorcism could create new personalities in such subjects. In January 1999, the Vatican issued a revised Catholic rite of exorcism for the first time since 1614, reaffirming the existence of Satan and revamping his image for the millennium. Officials stressed that the church was not revising scriptural references to the Devil or suggesting that people should cease believing in the Evil One. But priests who conduct exorcisms should now deal with evil as a force lurking within all individuals, rather than one that threatens people from without. Father Malachi Martin, a Jesuit who served as an advisor to three popes, has authored a number of books dealing with demon possession and exorcism, including Hostage to the Devil. When he was asked why there has been such a spectacular rise in the number of people possessed by demons and in need of exorcism, he replied that it was as St. Paul (d. 62–68 C.E.) had declared: "There is a spiritual war on, a war with the spirits…a war with the invisible forces that want men's souls." Describing the process of exorcism, Martin explained that an exorcism was a confrontation, not a mere exercise in prayer. The exorcist was at war with the demon. Once begun, the process must be finished. If the exorcist should stop the rites for any reason, the demon will pursue him. The exorcism continues with a kind of conversation between the demon and the exorcist, who is attempting to learn as quickly as possible the demon's name. Often the entity's name is a reflection or a symbol of that demon's function, and it must be forced to admit it. past that might be open to reproach. Objects in the room may move, windows shatter, doors open and close. 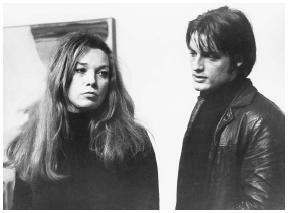 "At a certain moment," Martin told journalist Wen Smith, "everybody in the room knows there's something in the room that wants you dead. It's a horrible feeling knowing that unless something happens, you are going to die—now." 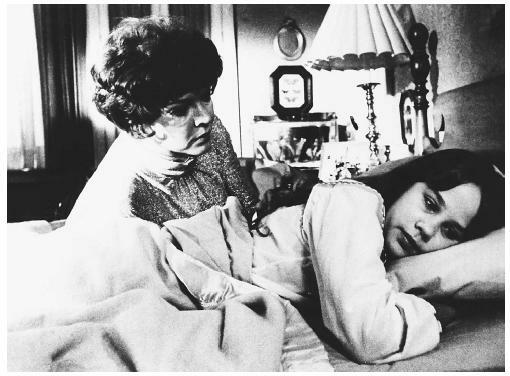 Martin freely admitted that not all exorcisms end in triumph for the exorcist. Sometimes the demon remains in control and the victim remains possessed. Even when the demon is expelled from its unwilling human host, it may still wander about seeking other vulnerable men and women to inhabit. And the exorcist himself may continue to pay a price for interfering in the demon's possession of its host body. Martin said that he had been flung out of bed, knocked off stools, and had his shoulder broken—reminders that the demon was still around and very angry with him. On September 22, 2000, the 1973 horror film The Exorcist was rereleased with added footage that had been excised from the original, and priests across the nation braced themselves for a tidal wave of cases of alleged demonic possession. Arguably the most frightening movie ever made, the film was based on the best-selling novel by William Peter Blatty and was directed by William Friedkin. As many motion picture reviewers and commentators have discussed, the film presentation of demonic possession touched a kind of collective primal fear in its audiences that was made all the more horrible by the fact that the victim was a smiling, cherubic, innocent young girl. Demons became all the more real when people realized that possession could occur to their child, to their spouse, even to them. Father Merrin, the exorcist in the film, uses the actual Roman Ritual of exorcism that was created by the Roman Catholic Church in 1614, and the repetitious chanting of the actors performing the rites gave the presentation an added aura of reality and of participation in a supernatural event. Reverend Bob Larson, an evangelical preacher and author who runs an exorcism ministry in Denver, told the New York Times (November 28, 2000) that he had 40 exorcism teams across the country and that his goal was that "no one should ever be more than a day's drive from a city where you can find an exorcist." Larson could not see why anyone would be "freaked out" over the idea of an exorcism: "It's in the Bible. Christ taught it." Michael W. Cuneo, a Fordham University sociologist, has been studying the subject of exorcisms for many years. His research indicates that as recently as the 1960s, exorcism in the United States was nearly completely abandoned as a church rite. Then, in 1973, the motion picture The Exorcist changed that. By the mid-1980s, there was a "proliferation of exorcisms being performed by evangelical Protestants." In the 1990s, Cuneo says that there is an "underground network" of exorcists numbering in the hundreds, and a "bewildering variety of exorcisms being performed." Reverend Martin Marty, a Lutheran minister and an analyst of religious trends and customs in the United States, commented that exorcisms were "all over the place" and the driving out of evil spirits has a long and varied history. Marty noted that the godparents at the baptismal service in many Christian faiths are asked, on behalf of the child they sponsor, if they renounce the devil and all his works and ways. That, he explained, is a mild version of exorcism. And exorcism is a smaller part of modern Western religions than it was in ancient Babylon, Egypt, and Greece. There are witchdoctors in African societies who perform exorcisms, medicine people among Native American tribes who are exorcists, and shamans throughout Asia who banish evil spirits. As long as there are human beings who believe in supernatural powers, there will be exorcists who will be summoned to rid the innocent of the demons who have possessed them. A survey of its readers conducted by Self magazine in 1997 revealed that 65 percent of those surveyed believed in the Devil; and the results of a Gallup poll released in June 2001 indicated that 41 percent of adult Americans believe that the Devil or his demons can possess humans. Bamberger, Bernard J. Fallen Angels. New York: Jewish Publication Society, Barnes & Noble, 1995. Blatty, William Peter. The Exorcist. New York: Bantam Books, 1972. Dickason, C. Fred. Demon Possession & The Christian. Westchester, Ill.: Crossway Books, 1989. Oesterreich, T. K. Possession: Demonical & Other Among Primitive Races, in Antiquity, the Middle Ages, and Modern Times. New Hyde Park, N.Y.: University Books, 1966.
how do you know if anyone is possessed by the devil. What are the signs. How does it manifest itself? Just came to my mind as I read the article. HOW DO YOU KNOW?